The Otto Bremer Trust provided a two-year investment of $450,000 to support the construction of a second Community Dental Care clinic in Rochester, Minnesota. 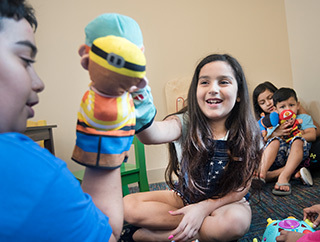 The new clinic offers comprehensive general dental services targeted to underserved groups and community-based education programs that teach children and parents how to prevent dental disease and improve their overall health. Noor Edward used to be afraid of the dentist. Now she dreams of becoming a dental assistant. 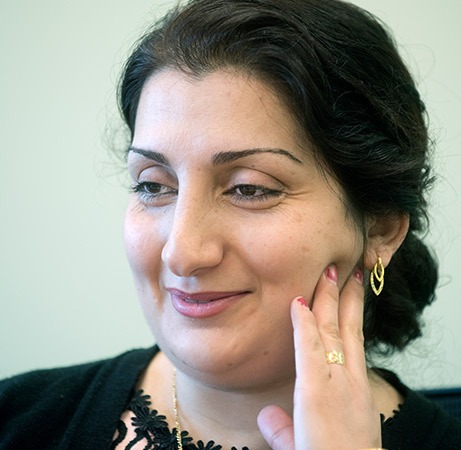 It all started two years ago, when she discovered Community Dental Care after her family immigrated to Rochester, Minnesota, as refugees from Iraq. She and her husband quickly fell in love with their new community. “Here, we have better opportunities for a safe life, a good education for our children, and opportunities to get jobs,” she says. In Iraq, there was no such thing as a dental assistant. “The dentist didn’t do anything to make the gum numb before using the needle,” she explains. 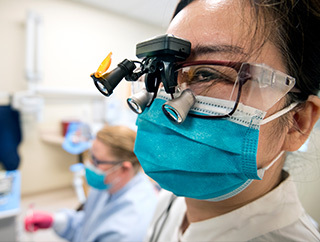 Noor’s experiences at Community Dental Care inspired her to enroll in the dental assistant program at Rochester Community and Technical College. 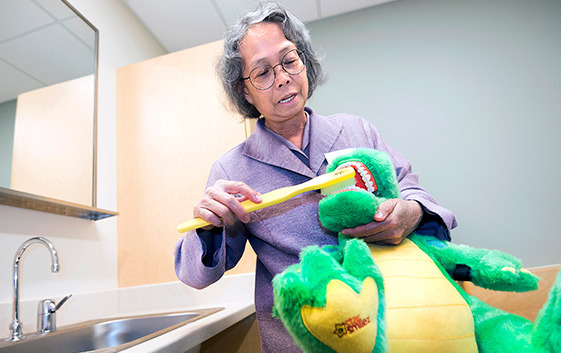 After finishing her general classes, she volunteered at the clinic, where she sanitized dental tools and served as an interpreter for Arabic-language patients. Now, a week before Noor begins her final year of classes, a second Community Dental Care clinic has opened in Rochester. The new 9,750-square-foot clinic is equipped with a dozen digitally controlled treatment chairs, six hygiene operatories, and a state-of-the-art sterilization room. According to Dr. Vacharee Peterson, Community Dental Care CEO, investing in the latest technology is essential because the clinic also serves as a teaching facility. After running Community Dental Care as a for-profit clinic for 22 years, Drs. Vacharee and Andrew Peterson incorporated the organization as a nonprofit in 2004. Over the years, Community Dental Care has developed a successful model for providing dental services to underserved communities. With support from the Otto Bremer Trust, Community Dental Care helps people like Noor overcome obstacles, take better care of their smiles, and pursue their dreams.